During today’s Latina History Project Session, student interns did important work to enhance access to Southwestern University’s Special Collections pertaining to Latina/Latino history in Central Texas. 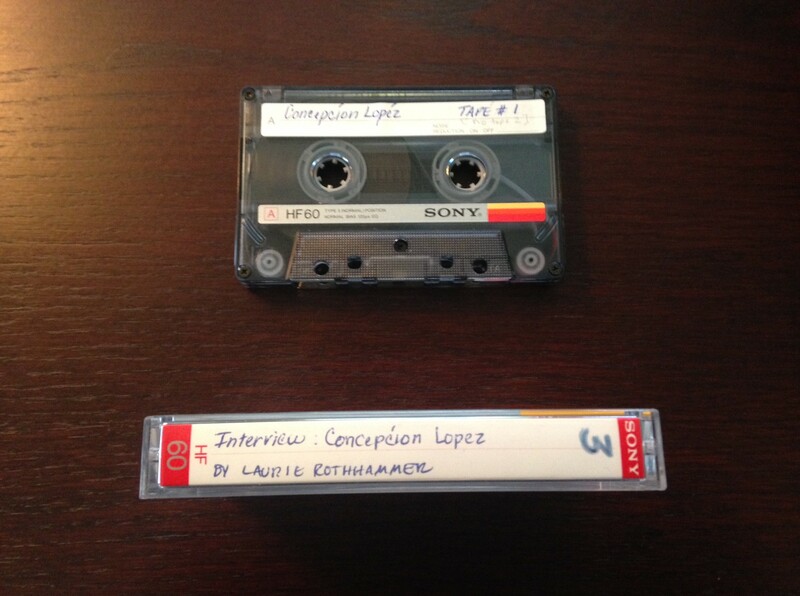 They’re bringing their impressive Spanish language skills to bear transcribing a 1984 oral history interview with Conceptíon Lopez, who moved from Mexico to Georgetown in 1920, at which time he was one of only four Mexicans living in the town. The interview was conducted by Laurie Rothhammer, who was an undergraduate history student at Southwestern. 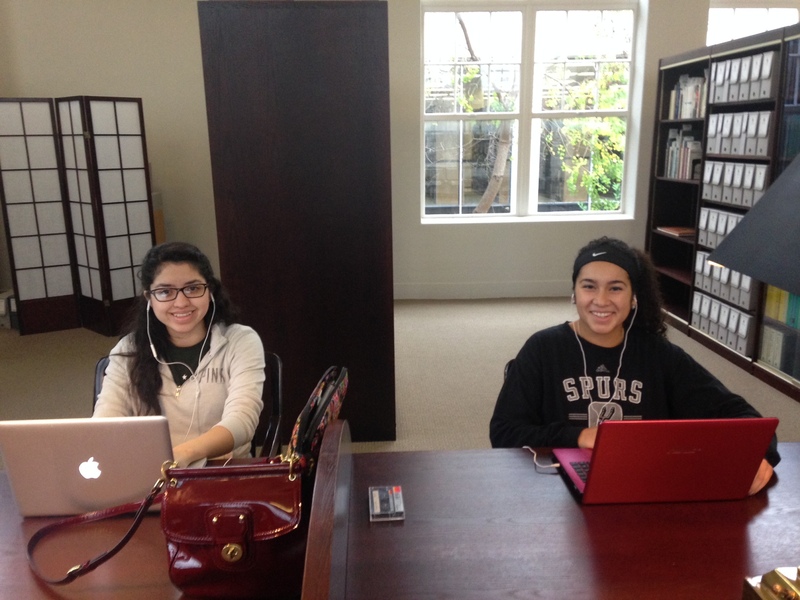 Nani (left) and Tori (right) transcribe an oral history interview in Special Collections. Tori and Nani are working with the MP.3 version in order to minimize wear on the cassette tape. By transcribing and translating the Spanish portions of the interview into English, they’re improving the accessibility of the oral history for researchers, hearing-impaired users, and non-Spanish-speaking users. Before jumping into the transcription process, the three of us had a discussion about why transcription is so important when it comes to oral history. Nani remarked that transcription is a form of preservation; if the original recording is lost, the transcript might provide a back-up of the contents. Tori pointed out that transcriptions can aide researchers and expedite the research process, since transcripts are keyword-searchable while recordings are not. Together, we reviewed the Baylor University Institute for Oral History Style Guide for tips on how to address the common challenges that arise in oral history transcription. 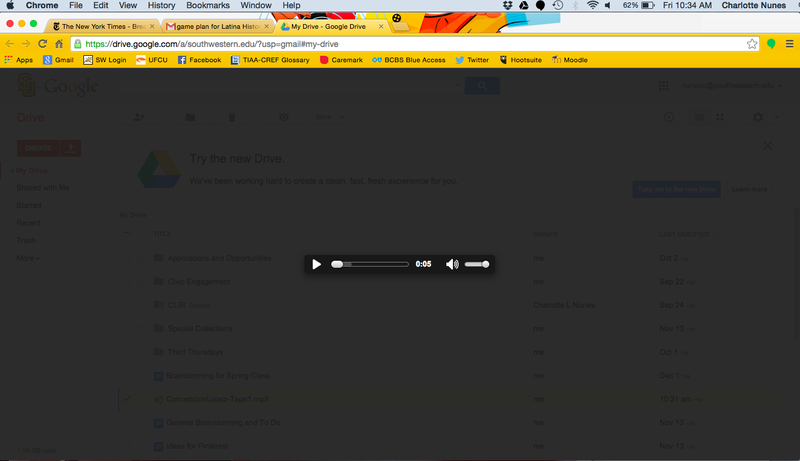 For example, how should a transcriber handle false starts, feedback words, and non-verbal sounds? The Style Guide provides tips for maintaining the integrity of the narrator’s voice without necessarily generating a verbatim transcription.